Every choice, every rotation, every drill, every long night/day, every word we speak in the gym is based on our mission to build happy, healthy, confident kids. Unfortunately, not every child has the simple opportunity to be happy, healthy, and confident. During the month of September, Olympia Gymnastics, Ninja City, and Team Central hosted special events in recognition of National Gymnastics Day. 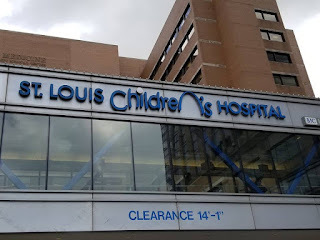 This year we partnered with St. Louis Children's Hospital to assist in raising money for the Hospital and their special needs for the children they serve. 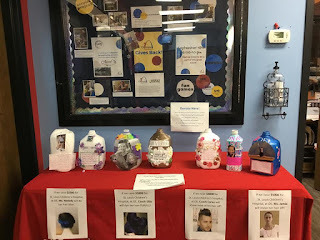 Our gyms were able to raise funds by hosting special Kid's Night Out, Open Gyms, Basket Raffles, and Team Challenges throughout September and 100% of the proceeds from these events were donated to St. Louis Children's Hospital. 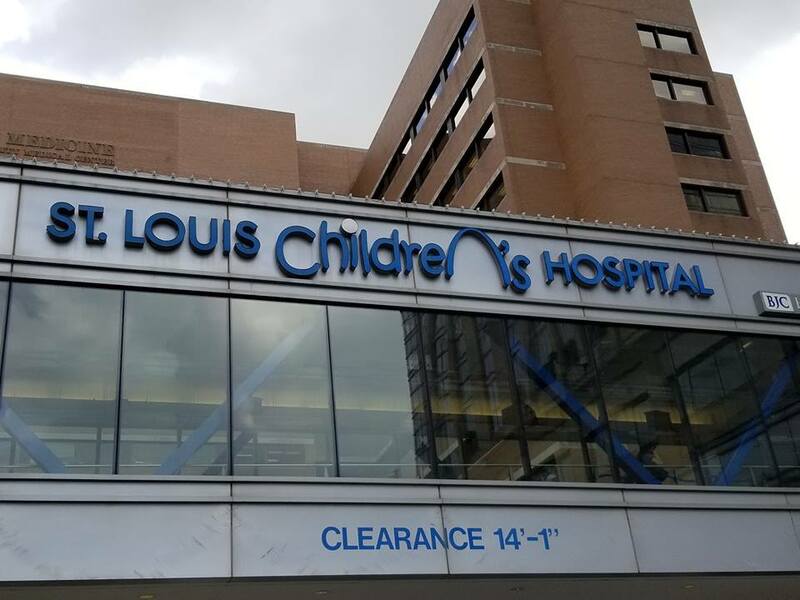 We are excited to announce we were able to raise $11,836.95 and we presented a check to St. Louis Children's Hospital on October 18th. Hey Where Did the "D" go? No, we didn't spell Olympia wrong. 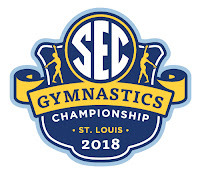 You may have noticed that the "D" is disappearing at all our gyms. In 2016, we began to take steps to restructure our branding and got a new name. 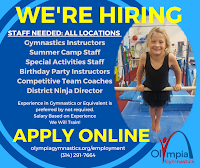 So we are now Olympia Gymnastics Training Centers, Inc. We have added locations to the Olympia family in 2017 including Olympia Rock Hill, Ninja City, and we purchased the My Gym franchise in Chesterfield. So it is not your eyesight that is going bad, our "D" is really disappearing. We're Not Fooling...A Night Out for You! Kids' Night Out offers a positive and affordable alternative to having a babysitter for the night. We make it easy and hassle-free...all you have to do is sign up! We will supervise and entertain your child(ren) so you can spend a worry-free night out. Students must be age 3 & up for this "April Fools" themed evening and bathroom independent to attend. 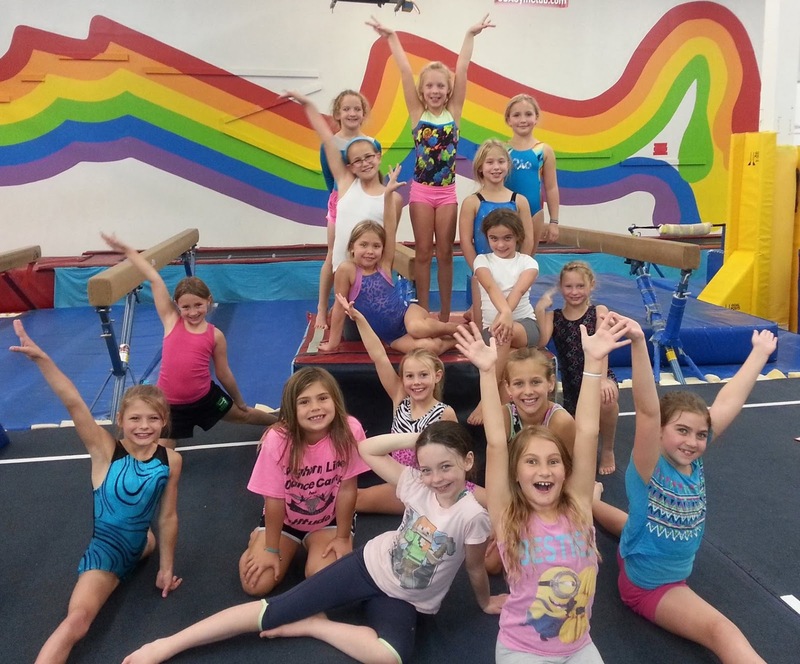 At Kids' Night Out, children will not only have tons of fun interacting with other kids; they will also enjoy 4 hours of gymnastics & ninja themed activities, group games, crafts, a snack and more! 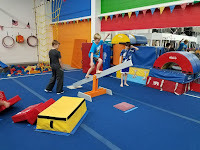 It is so much fun, your kids won't want to leave. 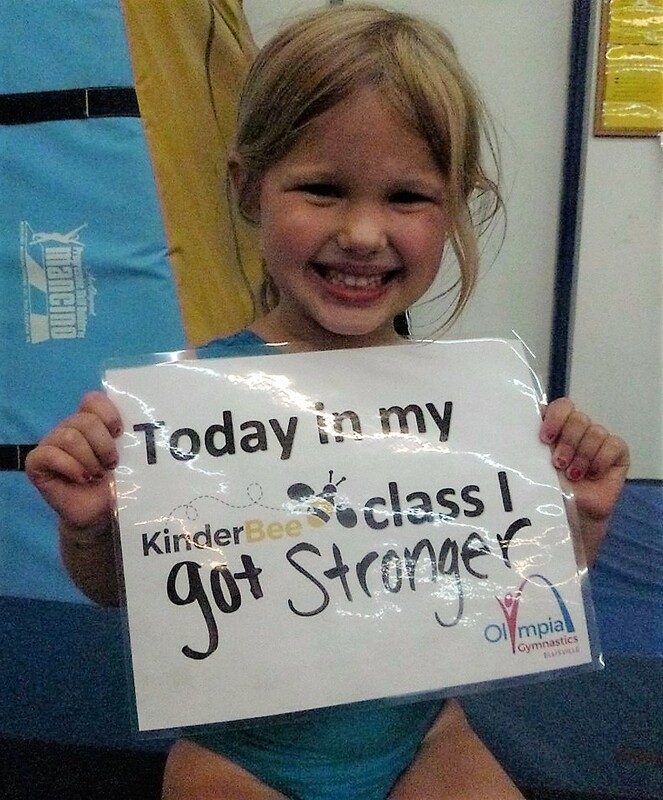 KIDS' NIGHT OUT PRICING:$22 for 1st Child ~ $18 for 2nd sibling ~ $10 for additional siblings | Non-members are welcome with pre-registration, so tell a friend! 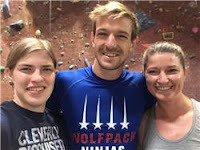 Our own Coach Katherine, Ninja Director at Olympia Gymnastics-Mid Rivers, placed 3rd Place in the run at the Ultimate Ninja Athletic Association league for Adult Ninjas. She will be going to the finals in July in New Mexico. 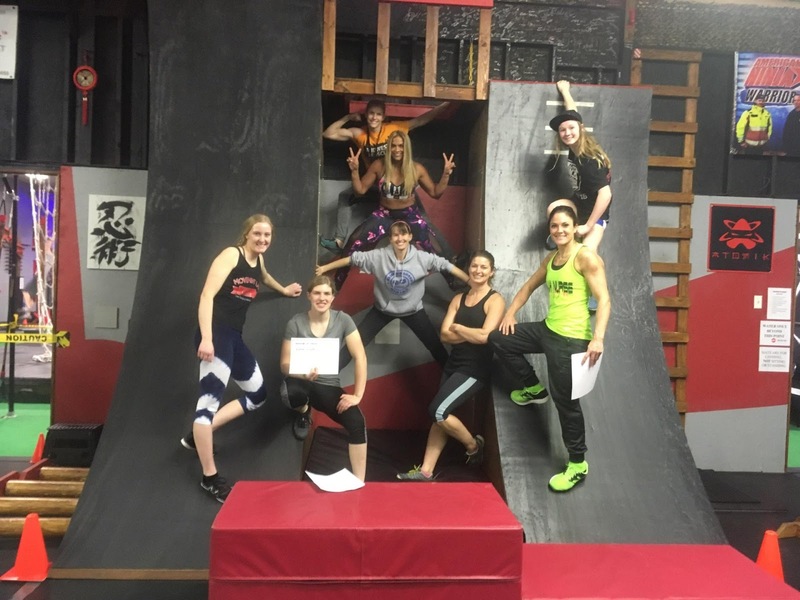 Katherine will also be going to the filming for the next season of American Ninja Warrior later in April, to air this summer on NBC. 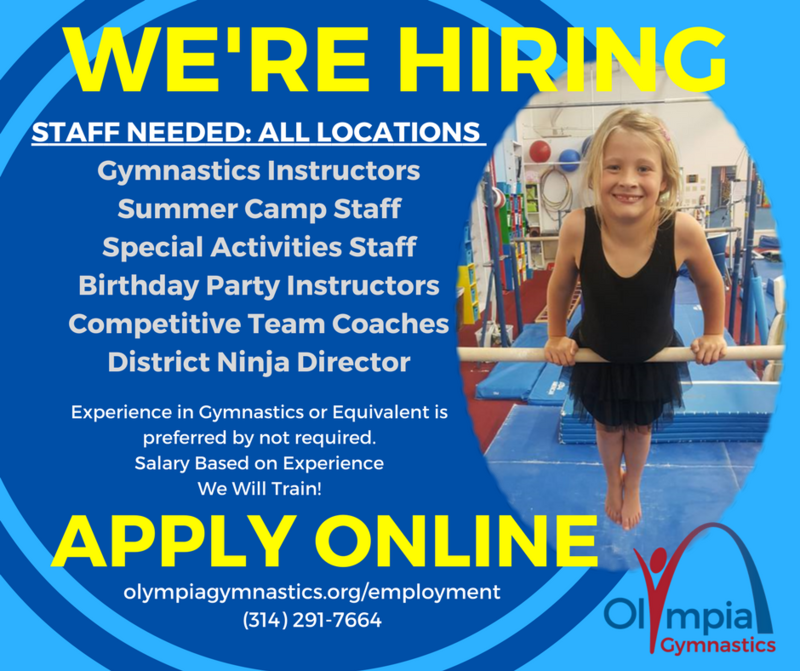 She also goes to college, coaches at Olympia Ninja City one night, and trains for ninja competitions! How does she do it all?? 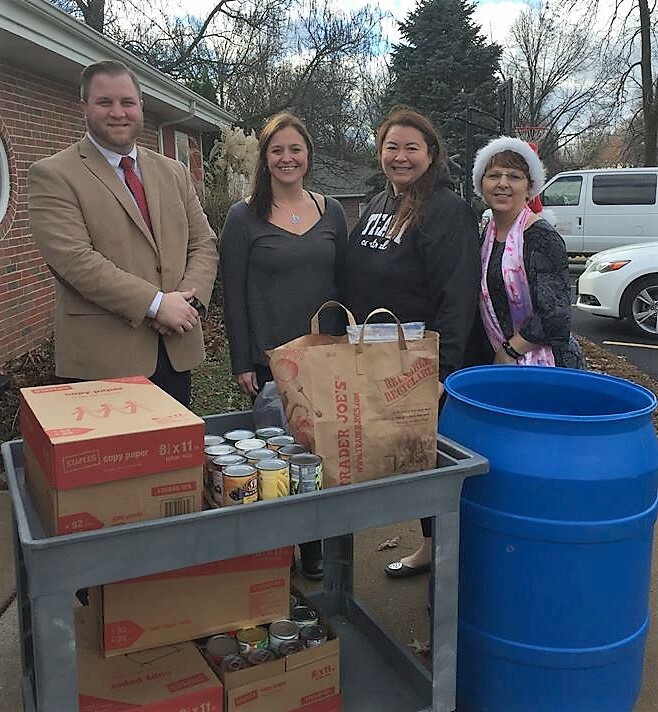 On Saturday, January 13th, Team Central hosted a Food Drive Open Gym to help support Loaves and Fishes Food Pantry. The cost to attend the event was a donation of 2 non-perishable food items. From this event, they were able to provide the food pantry with large barrels full of food. Olympia and Team Central love being able to help out our community and help make happy, healthy, confident people. It is Olympia's top priority to keep our students, parents, and staff safe. When in the gym students should not wear shoes, socks, tights, zippers, belts, or snaps when participating in class. 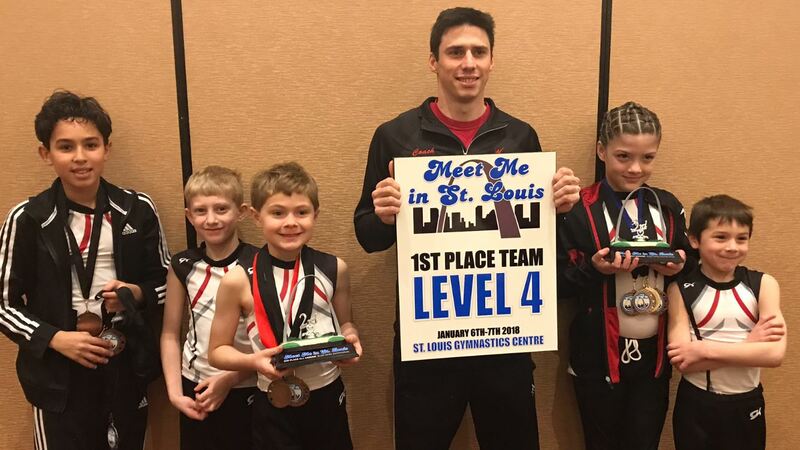 Our Manchester Boys Team competed in the Meet Me in St. Louis competition January 6 & 7th. 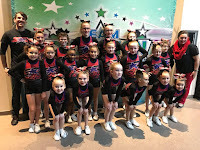 The boys had several individual placements and the Level 4 Boys won 1st place team. 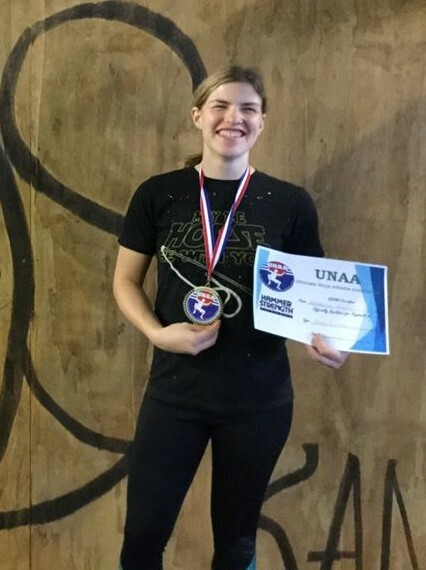 A big congratulations to Coach Katherine who came in 4th place and qualified for the National Ninja League (NNL) Finals at the competition this past Saturday! Coach Jack and Coach Jenny were also among the 44 competitors. 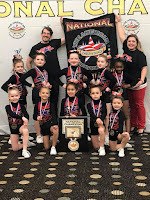 The NNL has age brackets for competitions (starting at age 6), but they allow athletes to move up in age group if they place in the top 3 of their age group at a competition. 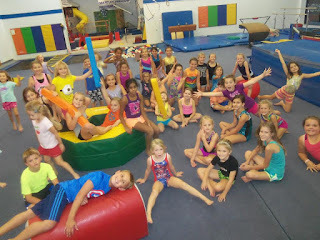 TUMBLE, JUMP, FILP, & RUN...JOIN US FOR BIRTHDAY FUN! 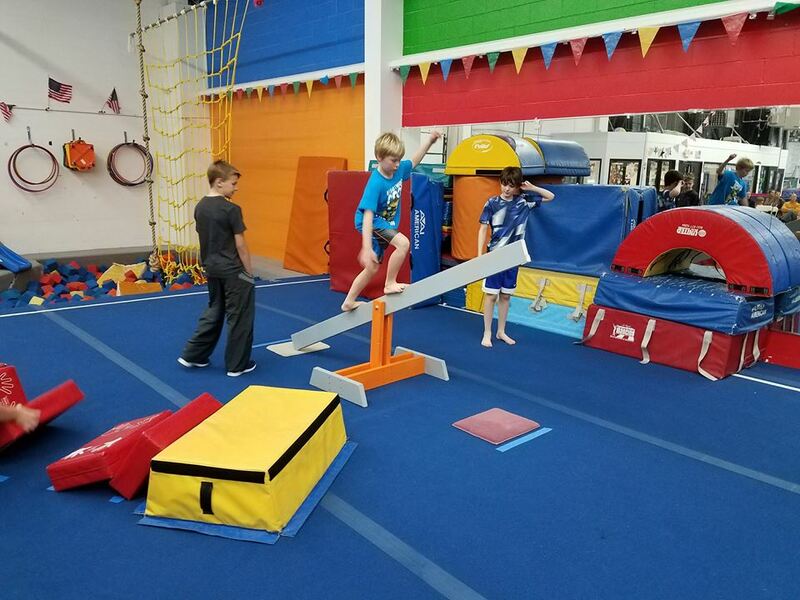 Invite your friends to join in your birthday celebration with jumping, tumbling, bouncing, and more. Even better, your birthday child will get a special trophy and attendees will receive a birthday medal (silver and gold packages). 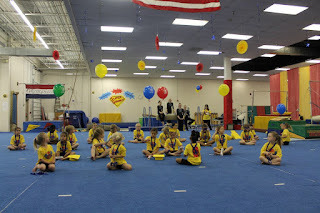 Our parties are good for sports, scout groups, and friend events to celebrate end of year accomplishments as well. Scheduling a party is easy! Simply call the office to coordinate your special day or event. A $25.00 deposit reserves your spot. Sign up online, open to the public! 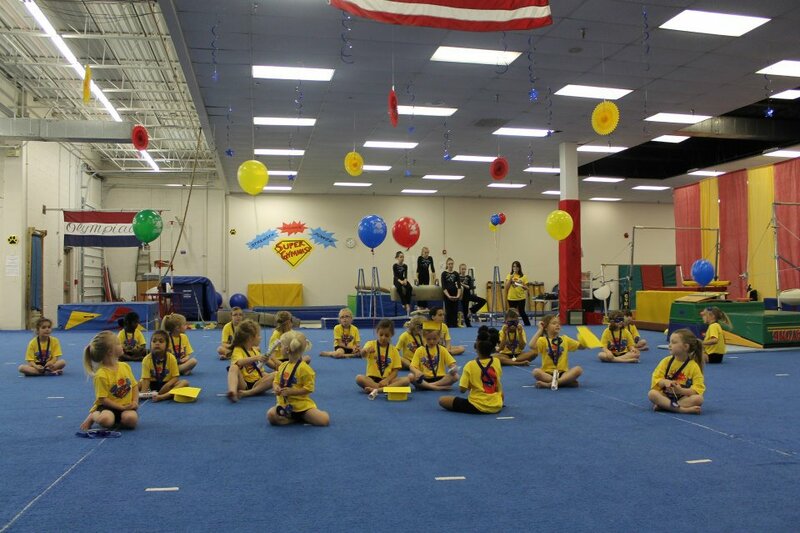 The gym is transformed to reflect this year’s spectacular theme of journey to the 2018 SUPERHEROES. Children and staff wear specially designed t-shirts. Routines are created. The gala is underway. The performance starts off with a thrilling grand entrance followed by a hand clapping, foot stamping warm up routine. Students then brilliantly show off their stuff on several pieces of equipment. 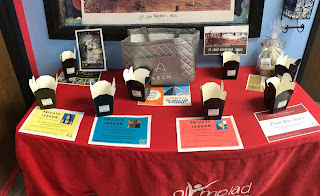 Lastly, each child receives a well deserved award and then it's time for pictures with mom, dad, grandma, grandpa and any other special person you child invites to the show. Applause is strongly encouraged. There are many “TADA” moments. It’s a performance you don’t want to miss! Your children work hard all year to learn the skills that they get to show off at this performance. We hope you will enjoy the show. Keep an eye out for details from your location on the upcoming Spring Performance dates and times as well as t-shirt order deadlines. Rock Hill hosts Fun Fridays every Friday from 6:00p-9:00p and is only $10.00 per child. For more information call (314) 441-3561. DOES YOUR GYMNAST HAVE GOALS FOR 2018? Working to get that one tricky skill? Hoping to reach that higher score in the next meet? 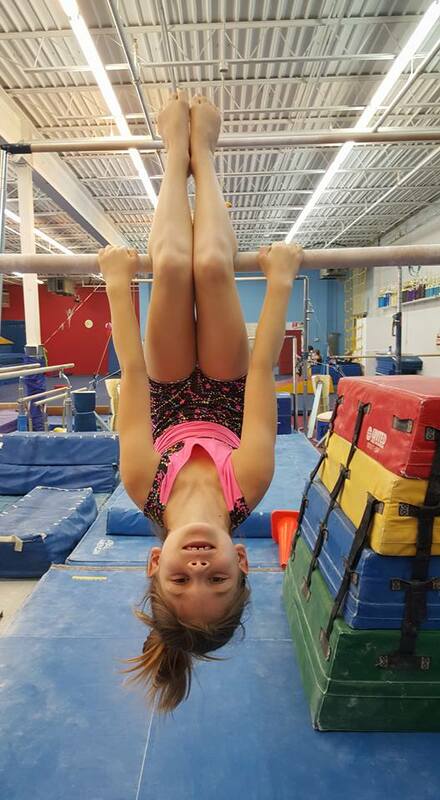 Maybe it's getting your little gymnast to go into the gym with confidence. 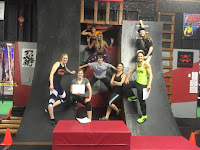 The following article may shed some light on setting some attainable goals by breaking them down into steps, or as a springboard to brainstorm a new way of reaching those goals. 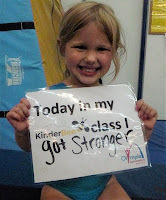 Consider how this could apply to your gymnast - from our newest to our most experienced students. 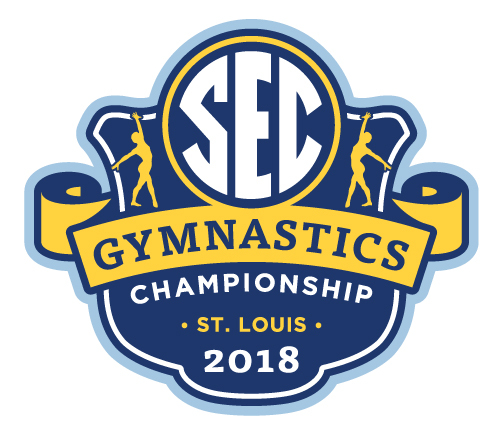 This article by Gymnastics HQ could serve as a resource, or you can also ask your child's instructor for some suggestions. "At the beginning of a new year, it’s a nice time to reflect on your life, and think about what we want to accomplish, and how can we make our lives better. 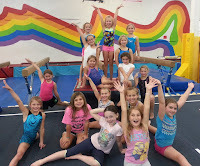 What do you want to accomplish with gymnastics? 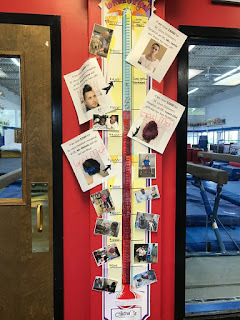 I’m going to walk you through 6 steps in order to completely SLAY your gymnastics goals this year." 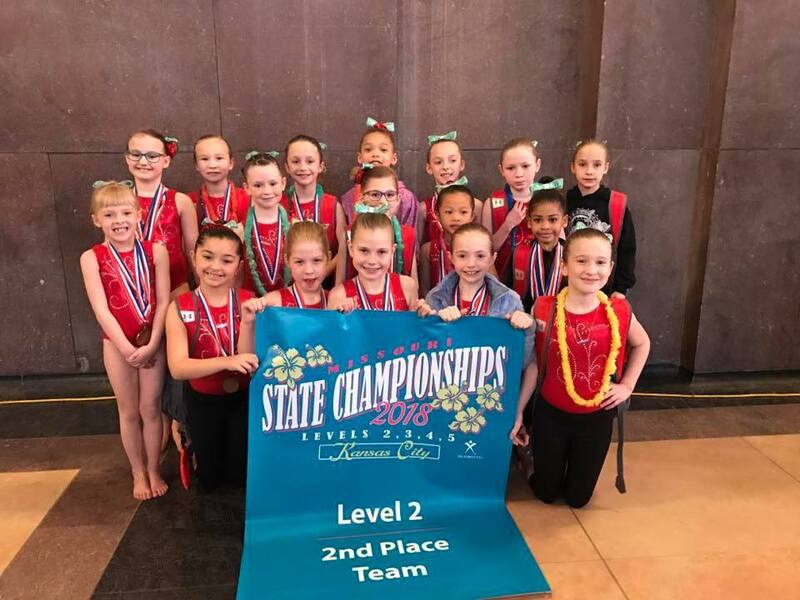 Click here to read the full article by GymnasticsHQ. 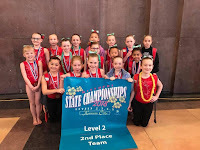 Since this is a publicly accessible blog, some advertisements, articles and comments connected with this link may not necessarily reflect the views of Olympia Gymnastics.